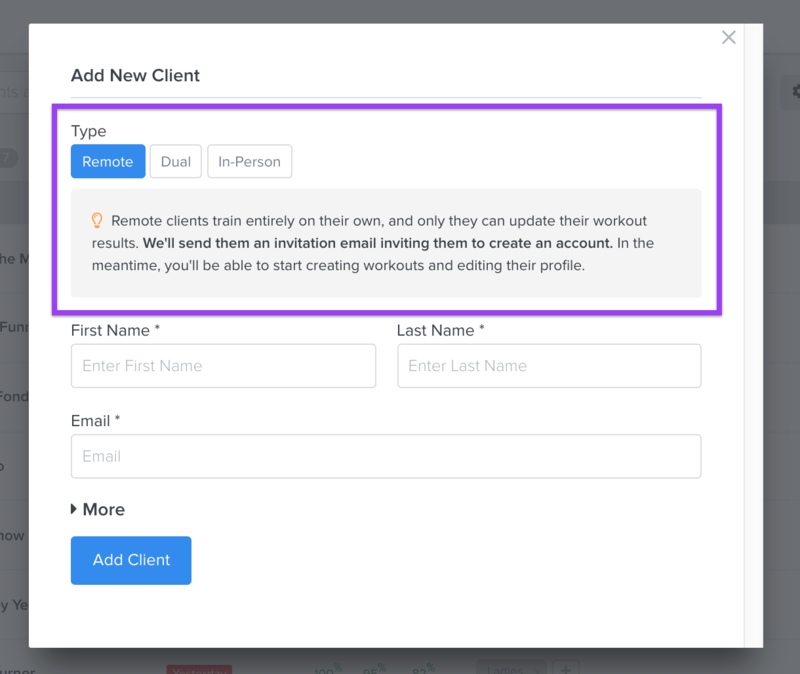 A Remote Client trains on their own 100% of the time. TrueCoach will send them an invitation email inviting them to create an account so they can view their workouts and update their own results. A Dual Client trains with you in-person sometimes, and on their own the rest. TrueCoach will send them an email inviting them to create an account. Dual clients are also able to view their workouts and update their own results. An In-Person Client only trains in-person with you and only you can update their results. In-Person clients do not have any access to TrueCoach.